Norkeria Scott is a second-year graduate student of the Counselor Education program, eagerly pursuing an M.Ed. and Ed.S. in School Counseling. 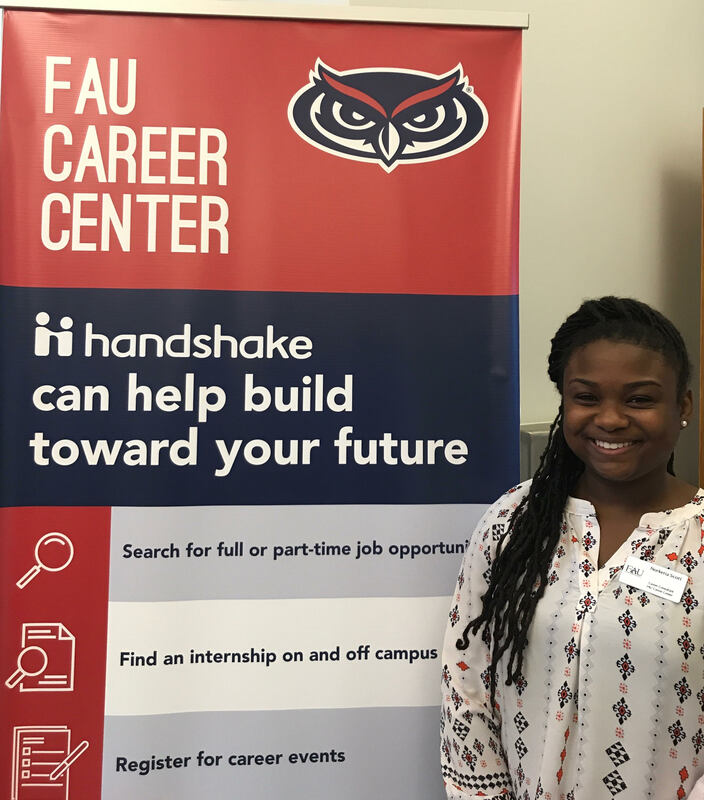 In addition, this is her second year as a Graduate Assistant for the FAU Career Center. As a Career Consultant, Norkeria assists students with choosing and exploring major options, developing resumes and cover letters, creating LinkedIn profiles, job and internship searches, and applying to graduate school. 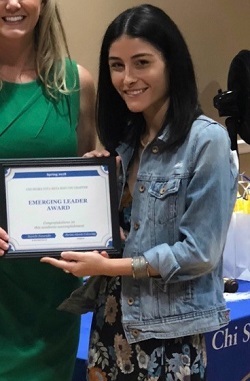 This is also Norkeria’s third year as an Afterschool Counselor for A.D. Henderson University School, and a Teacher Assistant for Karen Slattery Educational Research Center for Child Development. She is also completing her Practicum at FAU High School this semester. Norkeria’s career goals include becoming a middle or high school counselor, and as she advances throughout her career, she plans to become employed by a local school district. Eventually, she would love to pursue a Ph.D. and instruct a graduate course on suicide prevention and the effects of suicide on adolescents. Her plan is to study and build awareness on bullying and suicide prevention in multicultural and gender fluid communities, increase high school graduation rates and influence students to become college and career ready. Danielle Panariello is on track to receive her master’s degree in Clinical Mental Health Counseling. She comes from a long line of mental health counselors who have all benefited from the amazing program at FAU. Her passions include anxiety disorders, OCD, and eating disorders. She hopes to pursue a specialist degree and work at an eating disorder facility in the future. Outside of school, Danielle enjoys yoga, cooking, meditation, and working as a preschool teacher. She hopes to one day integrate her personal and professional interests, fusing concepts such as mindfulness and life skills in order to treat eating disorders. She is grateful for the vast opportunities presented through Chi Sigma Iota and FAU and is excited to take on the role of emerging leader. 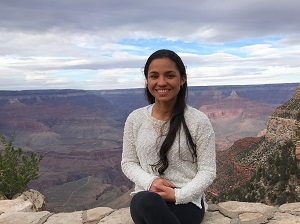 Jessica Rincon is an international graduate student in the Clinical Rehabilitation Counseling program. Jessica currently serves as a graduate assistant to Dr. Frain in the Department of Counselor Education. Her passion for counseling came from her curiosity about human behavior and her younger brother who was always a little “different”. Jessica developed an interest in children with autism and is currently seeking to expand her knowledge of various disabilities and diagnoses. She finds it rewarding to be able to help someone else have a better quality of life. In her free time, she enjoys the beach and nature, yoga and exercising, and spending time with friends and family. 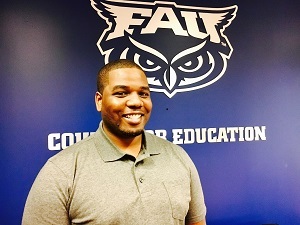 Guy Beauduy, Jr. is a graduate student in the Clinical Rehabilitation Counseling program. His passion for counseling stems from his notion that there needs to be more practitioners in the field of counseling to address mental illness, as well as disabled societal issues that, he cites, were severely overlooked in years past. Guy has developed a special interest in eventually working with veterans suffering from PTSD and those affected by substance abuse issues. After completing his graduate studies, Guy plans to work toward obtaining his CRC and LMHC licensures, as well as pursue a Ph.D. program in Counseling. In his leisure time, Guy enjoys the hobbies of working out, watching football, and spending time with family and friends. 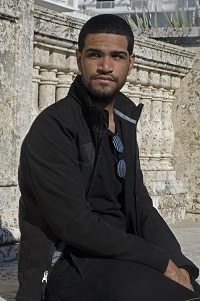 Gabriel Peña is a graduate student in the Clinical Mental Health counseling program. Gabriel currently serves as the graduate assistant for Department of Counselor Education and a research assistant in The Alliance Lab, which he’s actively been a member of since his freshmen year of undergrad. Gabriel's passion for the clinical mental health field is driven by his work in The Alliance Lab. Having studied the therapeutic relationship, Gabriel has a strong desire to learn the skills that will help him become a great clinician. Gabriel is a fanatic of the arts, who loves photography, music, and literature. He stems from a big family, and he enjoys spending time with them (along with his friends) when he isn’t consumed with work. He also likes hanging out at the beach, which he attributes to being a Cancer.